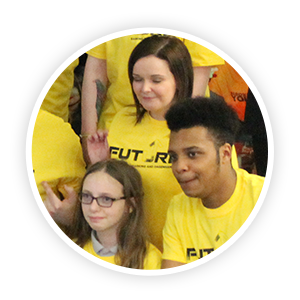 If you think that the Future Youth Zone might be the place for you, then becoming a Member of our Youth Zone is incredibly good value. Our membership fee is £5, paid once per year and then only 50p every time you come after that! The Zone is for all backgrounds, for all abilities, for all of the community… open 365 days a year. Future Youth Zone will be a state of the art youth hub in the heart of the town, it will be a place where you can make new friends, take part in activities, chill out or play sports, or try something new. Exciting, challenging, inspiring, awesome, fresh, amazing and incredible are just some of the words members attending other Youth Zones have used to describe their Senior Zones, so we can’t wait to bring these sessions to Barking and Dagenham. Senior Zone will be the best place to hang out if you’re aged 13-19. The Youth Zone will play host to an unbeatable mix of sports, creative and performing arts, enterprise and chill out activities with something for everyone and for only 50p per session. With over 20 activities every session, there will also be regular theme party nights, roller discos, special events and tournaments on offer.